One of the lesser sung pieces of hiking kit is probably the hiking hat. It isn’t quite as technical as your rain jacket or your hiking boots but it’s none the less a very important part of your hiking gear. In this post I want to look at what you need to consider when looking to buy a hiking hat. In all likelihood, you’ll probably need several of the different types of hats that we look at below for differing climates and conditions. Before we get into it, make no mistake a good hiking hat is critical for the trail. It protects and adds comfort in all sorts of conditions. So first on the list for your consideration, is to think about the climate and environment you’re going to be using your hiking hat in. If you’re going to be hiking in the Outback in Australia, a broad rimmed hat with good neck coverage may be what you’re looking for as you need protection from the sun. Similarly, if you’re out in the wilds of autumn and winter in Western Europe, warmth will be your main criteria so a beanie style cap would be more appropriate. So first up, get clear on where you will be using your hiking hat. Think of the climate and the time of year as well as the environment. These have a wide rim around the whole hat and so protect the whole of your head as well as the back of your neck from the ravages of the sun. Pictured above, is the Columbia Bora Bora Booney II Sun Hat. I like these hats and think they are great for decent sun protection. They also help keep the sun out of your eyes which can be a real bonus. Some sun hat’s can have more of baseball cap style on the front and long lapels at the sides and back that really do a great job of protecting you from the sun. Pictured above is the Flap Hat (03)-Khaki W15S46D. As you can see, the flaps around the base of the hat provide significant sun protection. 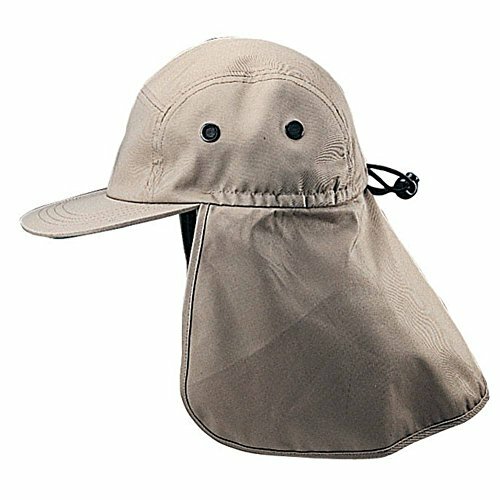 You need to decide how much protection you’re going to need, if you’re talking the Sahara desert type protection, you may want to look into this type of hat as it provides that bit more protection than a standard sun hat. 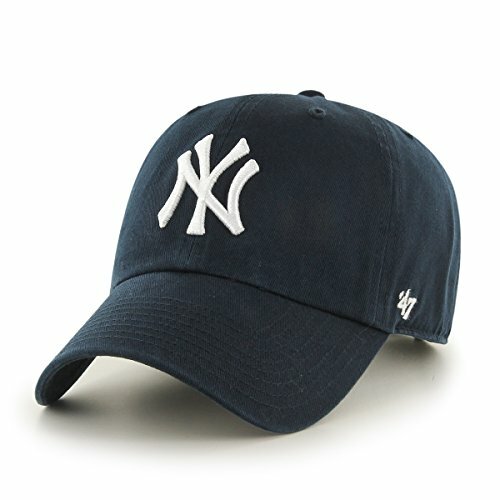 Again, another favorite of mine that you can opt for when hiking it nicer climes, is the standard baseball cap. Remember though, that this will only keep the sun out of your eyes so if you’re prone to sunburn you will need to protect your neck and any other exposed parts of your head from the sun with sun screen. Pictured above is the 47 ML Clean Up Adjustable Hat. You should always respect the sun and use sun screen either way but it is more important if you’re wearing only a baseball cap for protection. This is a classic and another personal favorite of mine. Beanie style hats (aka skull caps) fit snugly on your head and are great for keeping your head warm. They come in varying materials and you can get ones that are a bit more resistant to rain and so on. I use mine in conjunction with the hood of my waterproof hiking jacket. The beanie is for warmth while the hood looks after my waterproofing needs. 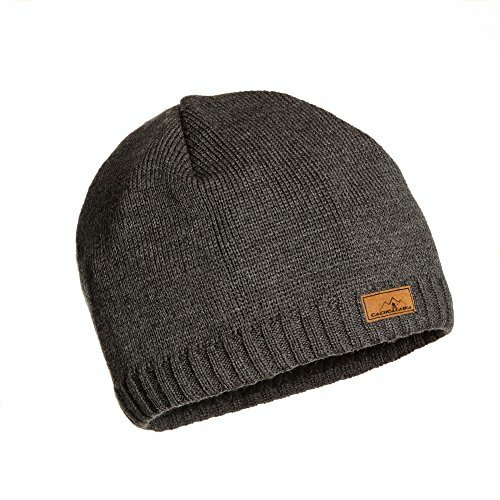 Pictured above is the Beanie Knit Hat – Premium Wool Blend – designed by CacheAlaska®. It’s worth mentioning that beanies are pretty cheap too, you can pick up a basic one for a few bucks. The picture at the start of this post is actually two of my beanie caps. They’re basic and cheap as chips but do a grand job of keeping my head warm. That is one hell of a mouthful but I’m not sure how else to describe these multi-purpose bad boys. They are basically like a big sock with a hole at either end. It can be slipped on as a scarf, used as a neck warmer, extended up to cover part of your face or, with some simple but clever manipulation, it can be turned into a beanie type hat. In other words, you have a lot of options! 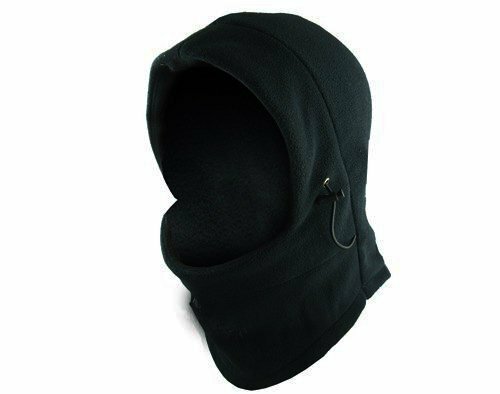 I don’t personally have one of these specifically, however I do have a balaclava which is fantastic for hiking in the depths of cold in Winter. Pictured just above is the WM KING Neck Warmer Hoods Ski Motor Hat Winter Thermal Balaclava Scarf (That is not a catchy name 🙂 ). This type of hat is designed for very cold temperatures. It will likely be made of some kind of very functional insulating material which will keep your head very warm. Generally speaking, you would invest in this type of hat if you’re going to be wearing it in serious sub zero temperatures. These hats can be very specialized and so the price can rise significantly if you want a top of the range one, so you could pay anything from $150.00 to $300.00 for one. There are cheaper options in a similar style available though but you do get what you pay for. 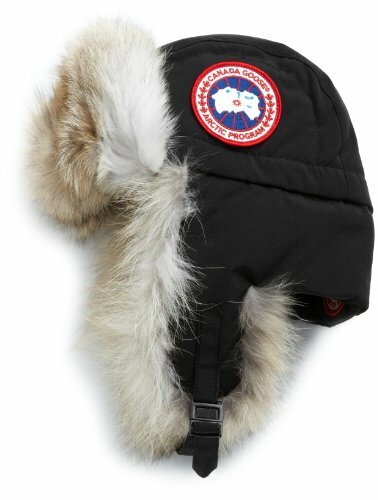 Pictured above is the Canada Goose Men’s Aviator Hat. There are many brands to choose from. Most hiking gear brands will make a selection of hiking hats in one or more of the styles listed above. If you have a favorite gear brand, chances are they have a hiking hat that will meet your needs. However, remember that buying a brand name will more than likely up the price a bit. Hiking hat’s are also one of the gear areas where I think you easily get by with basic non brand name stuff and so I really don’t think you need to spend a fortune, unless you need a specialized hat say for sub-zero conditions. Most people can get by with a basic beanie and a decent sunhat or baseball cap. A decent hiking hat should most definitely not break the bank. You can probably get something functional and pretty stylish for anywhere from $5.00 to $50.00. The large price range will largely depend on how functional your hat is, what style you choose, size and, of course, the brand you prefer. As mentioned above though, if you need a real specialty hat for something like sub-zero temperatures, price can increase significantly. As already mentioned though, most standard hikers should get by fine with a good warm beanie cap for colder times of year and a decent sun hat. Logically you need to consider the size of your head when buying a hat. This is less important for hats like beanies as they’re flexible and so getting a generic size range should do the trick i.e. small, medium, large, etc. However, when it comes to more specific sun type hats, you may want to pay a bit closer attention to size as it might be a bit more unique for this type of hat. By unique, I mean that a medium size may normally fit your head for a beanie cap but when you move to a sun hat, you might need a large. It’s not hard to figure out, you just try on multiple hats until you find sizes that fit comfortably and use that as your guide. Depending on what hat style you need, you can look for varying materials. Each material will have it’s own set of pro’s and con’s but if you can keep your requirements in mind when looking for a hat, you should be good. That is, if you’re looking for a beanie for warmth and a bit of rain protection, a wool / acrylic blend might be just the ticket. If however you want a quick drying sun hat for very hot but humid temperatures, breathability will be key as well as sun protection. With that in mind, perhaps nylon or another synthetic material with good wicking capabilities and a high UPF (Ultraviolet Protection Factor) rating, to help protect your skin from the sun, would be a better option to aim for. I wouldn’t get too worried about this overall. Let common sense be your guide, you know what you use to keep your head warm on a cold day and you know what you prefer to use to keep your head protected from the sun. In most cases, hats for the trail won’t be a million miles from what you normally use for these purposes. As with any hiking gear you purchase, you want reliability and durability. By reliability we mean you want the hat to do what it’s supposed to do when it’s supposed to do it. If your beanie is supposed to keep your head warm, it should keep your head warm. Not rocket science I know but worth mentioning all the same. When we think of durability, you want your hat to be able to be battered about a bit and not start to fall apart. If I think of my own hiking hats, invariably they end up scrunched up in my pack or in my jacket. They can be sat on and they can be left on the ground for a bit while I’m changing layers. What I’m getting at here is just that your hat needs to be tough enough to be able to take a fair enough beating as you are, after all, on the trail. You don’t want your hat to fall apart at the seams after being thrown about on several outings in the mountains. Finally, useful when buying any piece of hiking gear, an easy way to check on some of the criteria above is to just simply look at other peoples experiences with the hat you’re considering buying. I always find it useful to get a generic idea of the quality of something by just reviewing other folks experiences with it. The more reviews there are, the easier it is to get a broad average picture. There are a wealth of user reviews on most products online these days so use them to your advantage if you’re unsure about something! I hope you found this post on how to buy a hiking hat useful. When all is said and done you will likely have a mixture of the hats listed above that you will use on the trail throughout the different seasons, climates and environments that you hike in. When it comes to hiking gear there’s always a fair bit to consider when you’re buying any piece of kit and a good hiking hat is no different. However, this is one area where I really don’t think you need to spend a fortune to get something functional and good. There are good deals to be had depending on your needs. As with everything, some hats are more expensive than others but there are lot’s of good quality options available that should, barring more extreme conditions, meet most folks needs. What do you think? 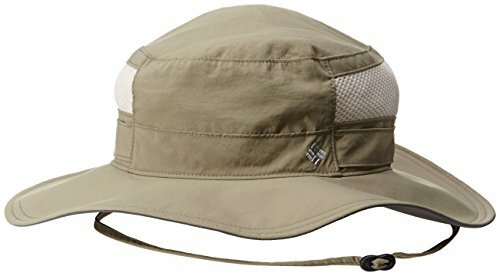 Have I missed anything that should be considered when buying a hiking hat? I’d love to hear your thoughts in the comments below.